Are you sick of bad hair days? Leave them behind you and letÂ SheerTrix Hair Design give your hair a terrific treatment which will leave it looking and feeling fabulous!Â With todayâ€™s Alaska Rewards deal get: $12 for a shampoo, haircut and style, valued at $49. Thatâ€™s 76% off retail! SheerTrix Hair Design offers hair styling for men or women, so share the love and pop in with your friends, sisters or significant other. If your visiting from out of town SheerTrix Hair Design is conveniently located in the Best Western Golden Lion so you can get glammed up before hitting the town. 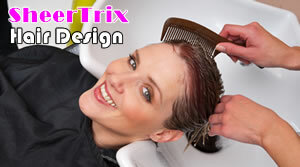 Let the professionals at SheerTrix Hair Design exceed your expectations and earn your trust to being your regular hairstylist. Limit 1 per person, may buy 2 as gifts. New clients only. Walk-in or Appointments welcome. Not valid with any other offer.